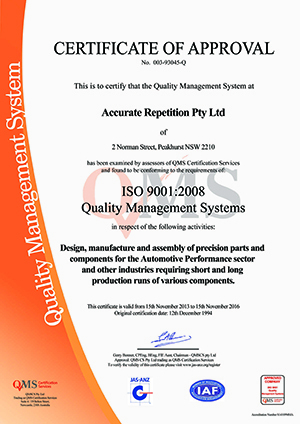 Back in 1994, GFB demonstrated to an independent regulatory body (QMS: Quality Management Systems) that it met their requirements for ISO 9001 certification. This specifies that GFB are ISO approved for design, manufacture and assembly of precision parts and components for the Automotive Performance sector and other industries requiring short and long production runs of various components. See the ISO website for more information.